As the 2016 LoJack Construction Equipment Theft Recovery Report notes, thieves like to target construction’s heavy equipment for parts, resale and even their own use. It is very lucrative given the average replacement costs for towables to wheeled and tracked loaders range from $11,309 to $77,404. For contractors, not only do they have to replace the equipment, but the project may be idled which adds to their indirect labor costs if crew cannot be reassigned. These reasons are why many jobsites and rental lots are physically protected by fencing, motion-triggered lighting, video cameras and more. In addition to site protections and safety processes, asset telematics solutions, such as AssetOutlook™, along with the LoJack® Stolen Asset Recovery help keep your equipment safe and make it easier to recover if a theft does occur. Most heavy equipment is not registered and there are no VINs as there are for vehicles. A recovery system along with identification numbers placed in multiple locations on the asset make verifying your equipment faster. Real-time alerts such as ignition on or movement after hours notify foremen of unauthorized use. Construction assets are easy to locate, even across multiple jobsites, on a map display. For example, AssetOutlook uses Esri ArcGIS mapping for greater accuracy. And in addition to the increased visibility, you may also define geozones or virtual boundaries. Notifications will be sent when these borders are crossed. It could be a safety or theft situation which then can be dealt with in real-time vs. hours later. 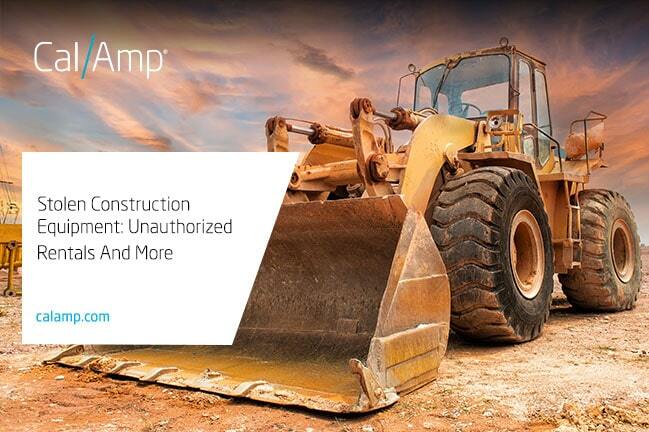 With over $186 million worth of recovered assets to date, as cited in LoJack’s 2016 Construction Equipment Theft Recovery Report, the LoJack® System is a smart, added layer of security for any contractor or equipment rental firm. Now, here are four theft and recovery stories from around the United States. A 2001 Case 580SL Backhoe was taken from a construction site in Lexington, South Carolina. After the owner notified the police, a pilot from the South Carolina Department of Natural Resources Aviation Unit picked up the silent LoJack® System signal from the stolen equipment. Upon locating the asset roughly sixteen miles away from the site, the pilot requested a ground unit for assistance. The Lexington County Deputy Sheriff Department’s officers found the subject operating the backhoe. The PIN plate with the identifying information had been removed. However, the LoJack device was enough to confirm it was the stolen backhoe. During the interview, the subject told the investigator that he purchased the Case backhoe for $2,500, which is well below the retail value of the construction equipment. The individual was arrested and charged with Possession of Stolen Property and Possession of a vehicle with an Altered, Obliterated, or Removed Vehicle Identification Number. In Miami Beach, a 2014 Multiquip 20 HP generator was stolen from a construction project during the weekend. The chain on the gate to the entrance had been removed. The superintendent contacted the Miami Beach Police Department to report their vehicle stolen. With the LoJack® System transponder activated, a Miami-Dade Police Department aviation unit picked up the silent LoJack signal while on routine patrol. The pilot observed a pickup truck towing the generator. Ground units responded to the area. Apparently the thief discovered a “green and white” patrol car behind them and ended up turning into a warehouse area where the driver of the pickup truck exited and began to flee on foot. One of the officers apprehended the suspect after a brief foot chase. The suspect was arrested on two counts of Grand Theft Auto as the 2008 Ford F-250 pickup truck was also reported stolen. The construction equipment and pickup truck were recovered and towed to the police impound yard for safekeeping. According to the LoJack Construction Equipment Theft Recovery Report, a towable, such as a generator, has an estimated replacement cost of almost $23,000. 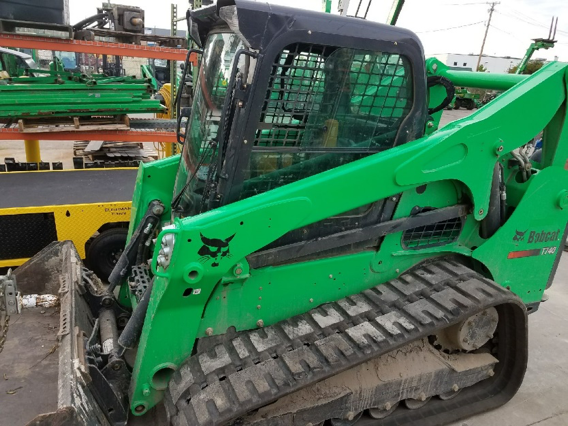 A 2016 Bobcat skid steer S70 loader was stolen from the customer of a rental company. The Arizona dealership’s manager notified the Maricopa County Sheriff’s Department. Within five minutes of the LoJack® System being activated, the Arizona Highway Patrol picked up the silent signal. Following the directional and audible cues from the Police Tracking Computers, the troopers tracked the stolen construction equipment to an area approximately 20 miles from the reported theft location. 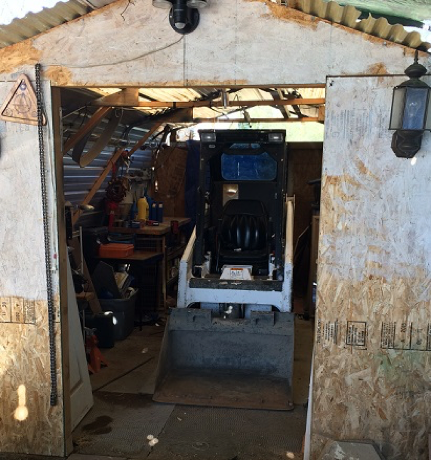 The troopers tracked the LoJack System signal to a shed behind a mobile home. Contact was made with the occupant at the mobile home and consent was granted to look in the shed where troopers located the stolen Bobcat. The male subject advised that an acquaintance had parked the stolen Bobcat in the shed. The asset was recovered in good condition and returned to the rental company. Follow up investigation is being conducted with charges pending. According to the LoJack Construction Equipment Theft Recovery Report, a skid steer has an estimated replacement cost of over $36,000. In Illinois, the renters of a 2016 Bobcat T750 called the Maywood Police Department to report the Bobcat compact track loader model T750 they had been renting was missing from a job site. Maywood is a western suburb of Chicago. The Bobcat compact track loader was located in Chicago’s Douglas Park neighborhood, east of Maywood by about 17 miles. The equipment’s identification had been attempted to be hidden by removing stickers from the rental company and the removal of the Bobcat’s Vehicle Identification Tag. The Chicago Police recovered the Bobcat T750. The owners were contacted and given back their asset. Due to the speed of the recovery, the owner had his equipment recovered minutes after it was entered into N.C.I.C. as stolen. The Bobcat was recovered before it could be damaged or have pieces removed devaluing it. The average replacement cost of wheeled and tracked loaders was over $77,000 according to the 2016 LoJack Construction Equipment Theft Recovery Report. As these stories illustrate, thieves continue to target construction sites and outwit some of the basic physical protections if motivated. In addition, all of the theft and recoveries were local in nature – often only a few miles away from where the equipment was stolen. The top three most common stolen equipment in the 2016 LoJack Construction Equipment Theft Recovery Report were wheeled and tracked loaders, towables (including generators) and skid steer loaders. And while South Carolina is not a top state for theft, the other three states are very active for construction heavy equipment theft (2. Texas; 5. Arizona; 7. Illinois). The best way to protect your construction equipment is to have multiple layers. Within your site, fenced or not, group together with smaller assets inside the circle and even chain them. Place identification on multiple locations so perhaps one might not be found. For processes, verify the identity of drivers picking up equipment or even operators. Lastly, technology helps you keep an eye on your assets from the office, on the road and onsite. 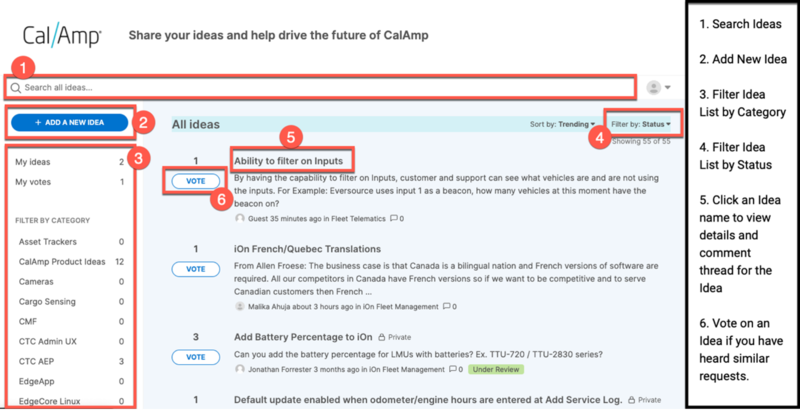 Alerts let you know when something not normal is occurring so you are able to react faster. And, with LoJack® Stolen Asset Recovery, there is a greater chance that your equipment will be safely recovered.